Term Life vs Whole Life Insurance: Which One is Better for You? Home » Insurance and Risk Management » Term Life vs Whole Life Insurance: Which One is Better for You? This is a recurring debate – should you buy insurance on the cheap, through a term policy, or should you opt for whole life insurance with its cash value/investment feature and coverage for life? The answer will depend on where you are in life (often how old you are), but will usually favor term in most cases. Why? Both term and whole life insurance are life insurance plans, first and foremost, but that’s where the similarities end. Term life is basic life insurance, while whole life contains additional provisions that make it an entirely different financial construct. As you can see from the chart below, while term life is merely a life insurance policy, the different “bells and whistles” added to whole life make it into an asset — in addition to its underlying life insurance provision. Plan Description An open ended life insurance policy that pays benefits upon death. Includes an investment provision through the plan’s cash value accumulation. Considered “pure life insurance” (no investment provision). Pays benefit upon death only within the term specified. Policy Term Lifetime. 5, 10, 15, 20 or 30 years. Cost High, can be several times the cost of term. Includes annual fees and very high initial commissions (often most of the first year’s premium). Low, especially early in life. Investment Provision Cash value that builds over the life of the policy. None. Advantages Permanent coverage, cash value accumulation, cash value can be used to pay off policy or to purchase paid up additions. Cash value will be paid out upon canceling the policy. Low cost, can match coverage to need, can be used for very specific purposes (i.e., mortgage cancellation). Disadvantages Cost, fees, investment returns are not guaranteed and can vary from year to year. Not permanent, no cash value, policy must be renewed at higher premium at the end of the term. Plan Benefit Payment Benefit paid upon death up to age 100. Pays only within the specified term. Borrowing Up to the amount of the cash value of the policy (but often restricted to something less). Cannot borrow against (no cash value). Two of the most important differences between the two policy types are cost and investment return. Cost clearly favors term, but investment return seems to weigh in favor of whole life. Or does it? Cost: Why is term life insurance so much less expensive? Commissions and annual fees have a major impact on the cost of whole life insurance policies. It’s not that they aren’t charged on term life policies, but rather that they are much smaller — not just by dollar amount, but also by percentage. Term policies are much simpler plans. They are pure life insurance contracts and don’t have investment provisions and the costs associated with maintaining them. In addition, the policies are often provided directly by the insurance company, rather than through a third party, such as an agent or broker. On whole life plans, insurance companies pay substantial commissions to either brokers or agents for the origination of the policies. These commissions can be as high as 100% of the first year’s premium. They may also pay out declining commissions in subsequent years, though at much lower rates. Whole life insurance also charges an annual fee for managing the investments that are held in your whole life policy (more on that in the next section). But perhaps the biggest reason why whole life is more expensive is because the plans will ultimately pay out. Since whole life is permanent insurance, the only question on the pay out is when. With term plans, by contrast, many plans expire without the insurance company ever paying a benefit. If whole life insurance policies aren’t pure life insurance, they’re aren’t pure investment vehicles either. An investment management fee of 3% per year would effectively reduce an 8% annual return on index fund investments to just 5%. That could turn solid investment returns into mediocre ones. If you buy term insurance and invest the difference (between the cost of term policy and a whole life plan for the same amount of coverage) in a no-load index fund, you’d get the full benefit of the 8% average return on the fund. In addition, you would begin earning that return on the first dollar invested. The cash value contribution from a whole life policy would be zero in the first year, and only begin growing — slowly — from the second year on. The time value of money factor favors buy-term-and-invest-the-difference and by a wide margin. Whole life insurance policies are investment plans, but not necessarily good ones. One of the main objectives of successful personal financial management is keeping your living expenses as low as possible to maximize the amount of money that you’ll have to invest to build wealth. That’s exactly what you will do by buying term life insurance. If you can buy a $200,000 20 year term policy for $300 per year — versus a cost of $2,000 for a whole life plan for the same coverage — you’d have an extra $1,700 per year to invest. Assuming an average rate of return of 8%, after ten years you’d have an investment portfolio of $25,682 — in addition to life insurance coverage. After ten years in the whole life policy — and the payment of $20,000 in premiums during that time — your cash value is unlikely to be close to $25,682, not after the company deducts for commissions and management fees. Are there times when whole life insurance is the better choice? The biggest downside of term life insurance is that if you need to continue your coverage past the end of the term, the cost to renew will always be higher — after all, you’ll be older. If you think you will need coverage past the age of 50, you may be better off with a whole life plan, since the premiums will be level for the rest of your life. In addition, insurance companies generally will not issue term policies past the age of 65, and whole life may be your only option. Of course, if you took a term policy early in life — and faithfully invested the saved premiums — you likely will have sufficient investment assets that you won’t need any more life insurance. Is Baby Insurance a Good Buy? One of the irritants about permanent insurance is that the cash value accumulation feature is somewhat misleading. If you buy a $250,000 permanent life insurance policy then that is what your beneficiaries would get when you die. It is clear to me that the person writing this article knows very little about index strategy permanent life insurance products. 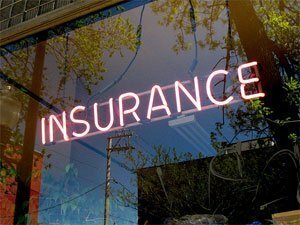 First the cost of the life insurance inside the policy is based largley on the health of the insured and that cost is at it lowest point in 30 years because of competition.The interest inside the policy grows tax deferred just like other retirement or savings products. Depending how they are funded, these policy do start producing interest the first year and the interest gains are locked in and can never be lost unlike money invested in the market. Finally, The federal government has a tremendous appetite for taxes and retirement withdrawals are increseingly seen as a source of new revenue. It is not faw fetched to see 50% plus taxes levied on withdrawed income. Through the wash loan perversion you have interest free access to cash inside the policy. This alone makes the index life insurance policy the safest most powerful wealth building product in the country today. Either stop writing about what you don’t know or get accurate current information. I agree that term is the better option typically. I just wanted to point out a few things. Point one would be that when someone buys whole life they are buying life insurance that is basically betting that the insured will die before the typical life expectancy. Basically, you are betting that you will die. In a sense you are doing the same thing with term but you are much more highly leveraged. Also, with whole life, you are taking out a policy now that will not pay out for decades. I am sure that many people who take out $100,000 of whole life insurance today believe that it will contribute to their family down the road. But in reality, $100,000 in 30 years from now will be worth what $10,000 is now. It really would only cover burial. With term, you can get a lot more bang for your buck. That way, if you do die prematurely, your family will be covered with the amount they need to move on. Finally, with a term policy, you can always convert to a permanent policy. That way, if you do need the life insurance down the road and you have developed a condition that would preclude you from getting life insurance, you can simply exercise your conversion option. Anyway, great article. I agree with what you wrote but felt the need to add a few additional comments. Thanks for pointing out the inflation factor, it’s probably the most underrated problem when it comes to both insurance and investing. You can never lock into a single benefit number, which means that eventually you will have to add a term rider to keep your whole life plan death benefit up to date. That being the case, you’re better to just go with term from the very beginning. On the flip side, as you get older and you’re dependents are grown, your need for coverage could actually decline. Again, term is the better policy if this is the case. It’s hard to beat the flexibility of term.